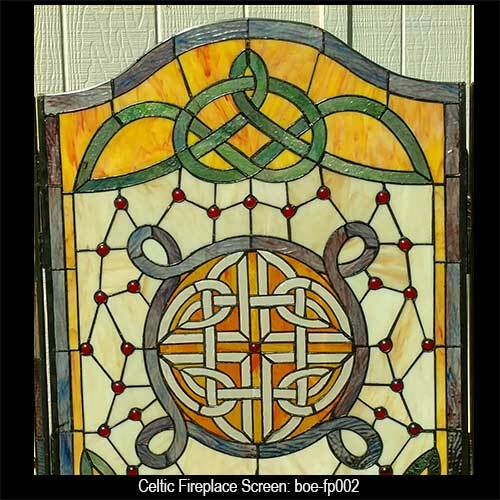 The Celtic fireplace screen is a special order item that ships to you or to your gift recipient directly from our supplier; please allow 2 weeks for delivery. Gift wrapping is not available on this item; however, we at The Irish Gift House, are more than happy to separately mail your gift note, along with a Celtic knot history card, to the gift recipient. Alternatively, if the Irish fireplace screen is shipped to you, we will mail the history card to you along with your receipt. 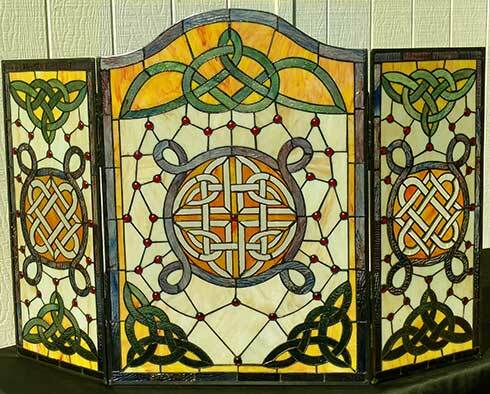 This handsome Celtic fireplace screen is made of Tiffany style stained glass and features three hinged panels with a dynamic knot-work design. 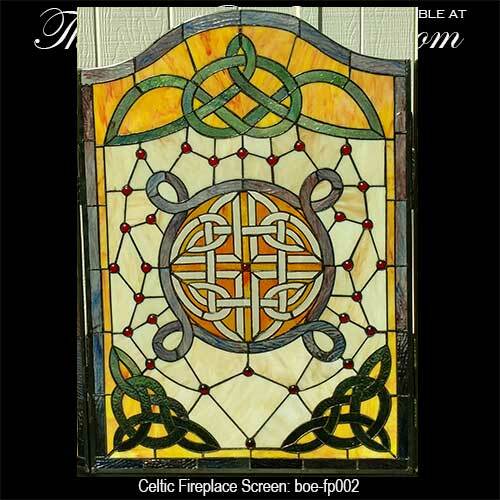 The Irish fireplace screen is made of metal and glass and measures 31 1/2” tall x 45” wide. The screen has a blue border along with green Trinity knots and is complete with dimensional red glass jewels. Minor assembly is required to insert the four metal pins that hold the panels in place. 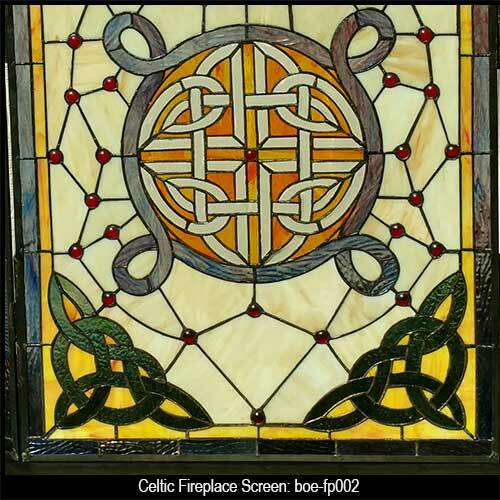 The Celtic fireplace screen is for decorative purposes only and should not be used in front of a real fire.